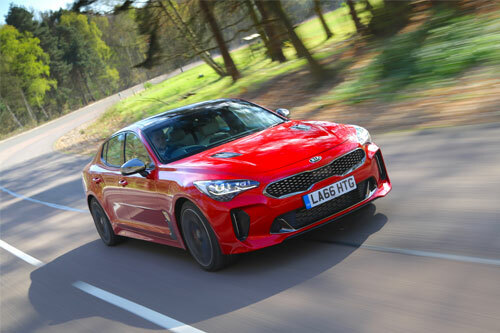 The stunning Kia Stinger, the company’s first gran turismo and first rear-wheel-drive car in the UK, finally went on sale in the UK back in January. Stinger evokes memories of the classic age of grand tourers, when the joy of the journey made getting to the final destination almost a disappointment, and the time to get from A to B almost insignificant. 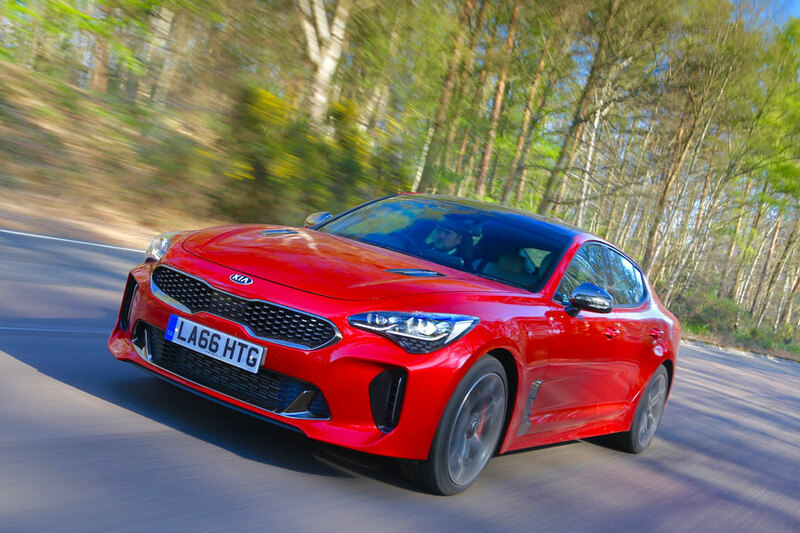 Stinger is a game-changer for Kia ­– a car to convince people, if anyone still needs convincing, that the company has put the days when it was a value-driven brand mainly concerned with durability and practicality behind it. 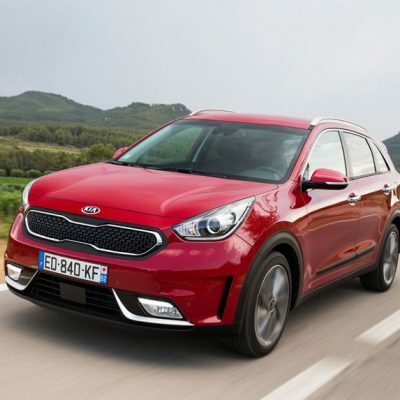 Those attributes are still important, but Kias are now highly desirable in their own right. Stinger epitomises that. 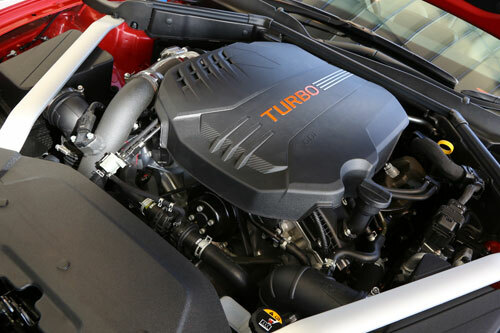 There are five Kia Stinger versions, based on three trim grades (GT-Line, GT-Line S and GT-S) and three turbocharged engines. Heading the range is the GT-S, powered by a twin-turbo 365bhp 3.3-litre V6 T-GDi engine capable of taking the car from standstill to 60mph in only 4.7 seconds and on to a top speed of 168mph where allowed. 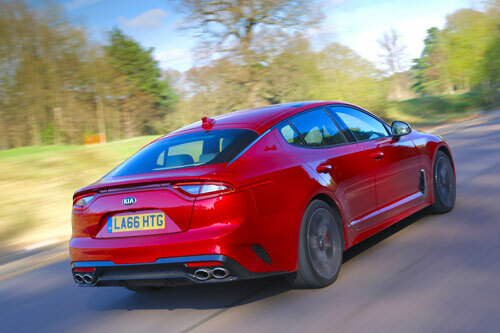 GT-Line and GT-Line S both offer the choice of a 244bhp 2.0-litre four-cylinder T-GDi engine or a 197bhp 2.2-litre CRDi turbodiesel capable of up to 50.4mpg, giving Kia’s new gran turismo a touring range of more than 600 miles. 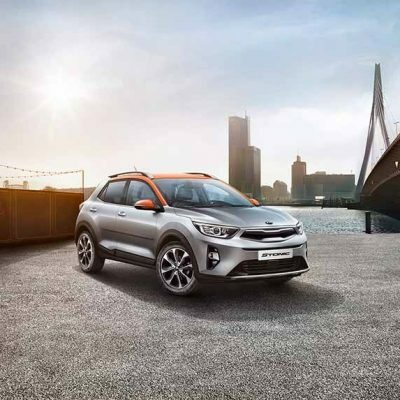 All models drive the rear wheels through an eight-speed automatic gearbox with five different shift and throttle programmes and the option of full manual control using the steering wheel-mounted paddles. Grand tourers are not sports cars. Rather, they are high-performance luxury cars designed to cover long distances with the maximum of comfort, safety and refinement, and all three trim lines for the Stinger reflect that. All Kia Stinger models have an 8.0-inch touchscreen navigation system with European mapping and a Traffic Messaging Channel to guide owners to wherever they feel like roaming. The screen is linked to Kia Connected Services with TomTom, giving traffic, weather and local search information, and even warning of speed cameras. 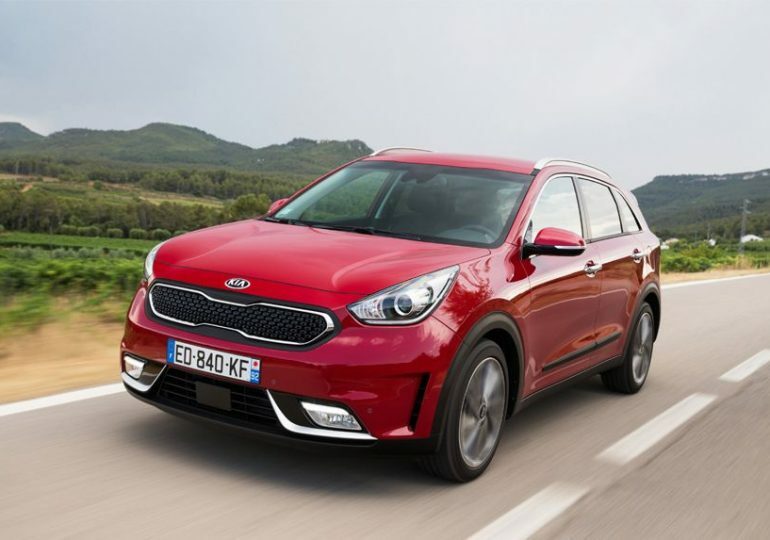 Stinger can be connected to Android Auto and Apple CarPlay via a smartphone, has Bluetooth with voice recognition and music streaming and is equipped with a reversing camera, front and rear parking sensors and a 7.0-inch Thin Film Transistor (TFT) supervision cluster. 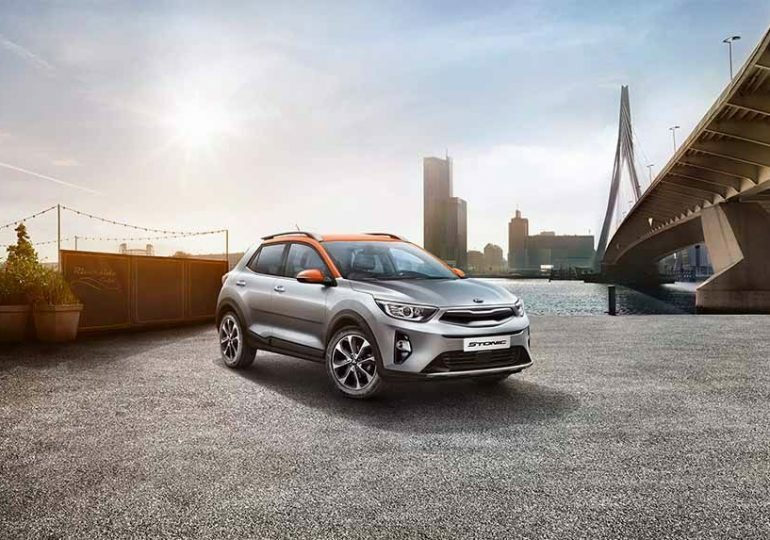 A head-up display is also a standard feature, which displays speed and navigation instruction, a first for Kia in the UK. 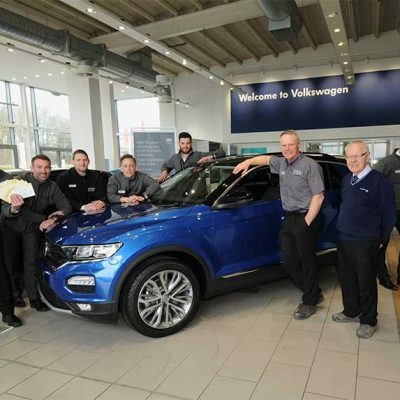 Standard safety features to assist drivers on long journeys include Autonomous Emergency Braking, Lane Keep Assist, Driver Attention Warning and Speed Limit Information. GT-Line S and GT-S also have Blind Spot Detection with Rear Cross Traffic Alert, and GT-S is fitted with Brembo brakes. A limited slip differential is standard, as is an Active Bonnet to protect the heads of pedestrians in the event of a collision. 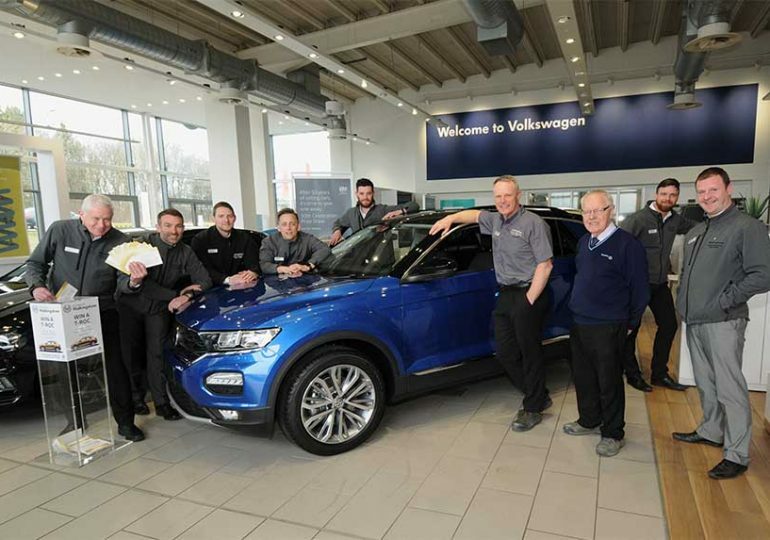 GT-Line and GT-Line S have 18-inch alloy wheels with 225/45R18 tyres, while for GT-S the wheels are upgraded to 19 inches with tyres of 225/40R19 at the front and 225/35R19 at the rear. There are projection headlights on GT-Line, and full LED headlights on the other two trim grades. 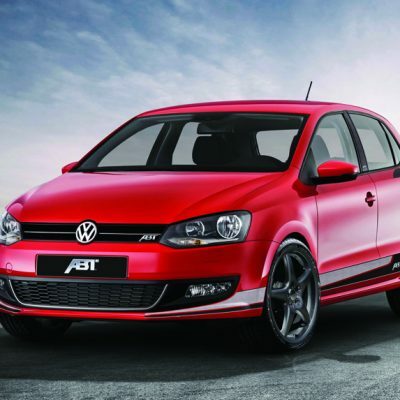 All versions have LED tail lamps and daytime running lights. 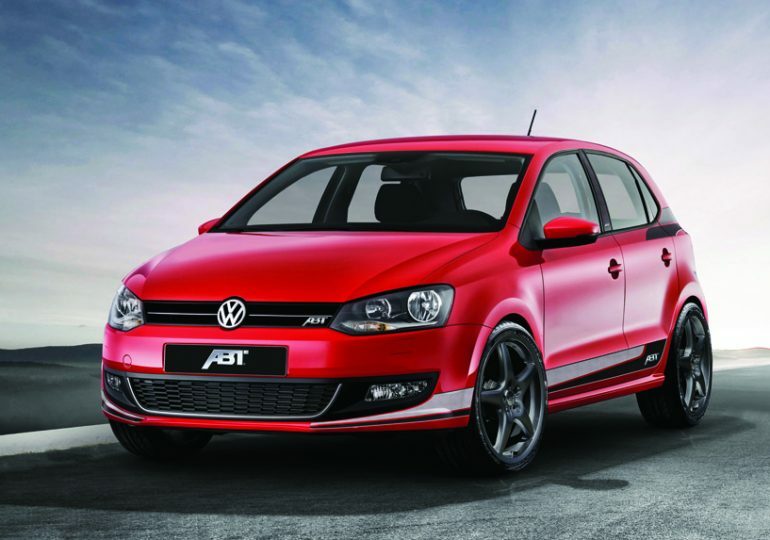 Leather upholstery in either black, grey or red is available on all trims, and in GT-S there is Nappa leather. Eight-way power-adjustable memory front seats are fitted to all models, along with a two-way power-adjustable cushion extender. Two-way side bolster adjustment is added in GT-S. The front seats are heated, along with the outer rear seats in GT-Line S and GT-S, which also have ventilated front seats. Adding to comfort and convenience is electrically operated tilt and telescopic steering wheel adjustment as standard across all grades. GT-S has electronic suspension which can be set to one of five modes and variable gear ratio steering. Stinger’s standard paint finish is Sunset Yellow, while Pearl White, Midnight Black, Ceramic Silver, HiChroma Red and Panthera Metal are chargeable options.